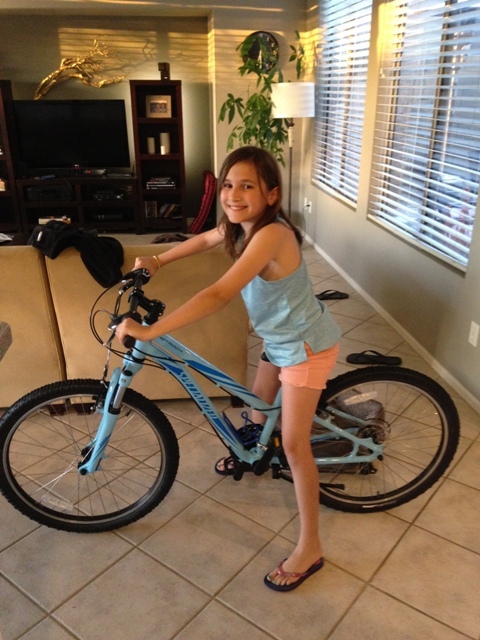 My daughter is turning 10 in start of May and it was time for a new bike for her. However due to heat why not do it early to get some good ride time in before it gets hot. So here it is 24" Specialized Hotrock. It has some big new things for her. 21 gears so shifting and hand brakes. Her prior bike was coaster brake 20" walmart special. So big gains and she loves it. 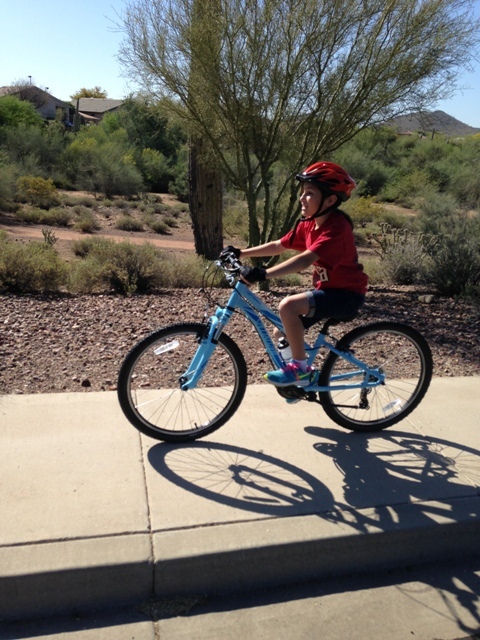 First proper ride on the bike 5.7 Miles - "Daddy I want ride father than I did on my old bike." Second Ride 7.1miles - "Daddy I want ride one more mile than yesterday"
So far we are mixed pavement and simple dirt paths in neighborhood. In time it will work towards proper trails. Sweet bike. Can't wait for my kid to out grow bikes with coaster brakes. 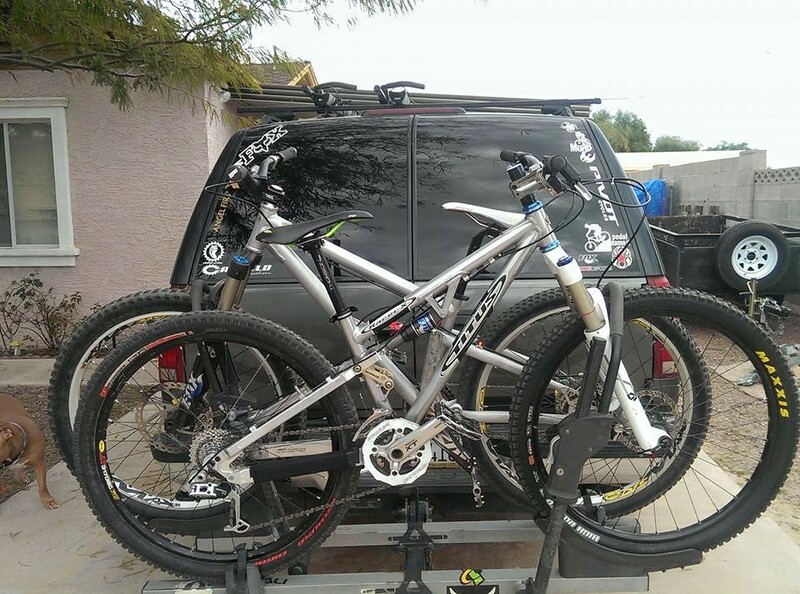 Nice mine just got off her specialized 24" and I moved her up to a xs ti racer x I had stashed in the closet for 4 years. The tires Spec put on their 20in (and i assume 24) hotrock are actually really good and not a common style in that size. Mild knobbies with mild directional ,2.1inch. When it was time to replace them in those sizes I found very little other than bmx style slicks, so wound up rebuying from Spesh. Might have more choice in a 24, but not much. Also worth looking to shed whatever bits you might have at home - just the handlebar from my 20inch for a $25 carbon bar saved 20oz. I found the worst part of the hotrock was the deraileur - under $10 and it broke often. I wound up replacing with a road deraileur and a lever shifter - huge improvement in durability and (at least in the 20inch) shifting ability. Whenever people start saying, "26ers are dead!" I'm thinking No they are NOT. 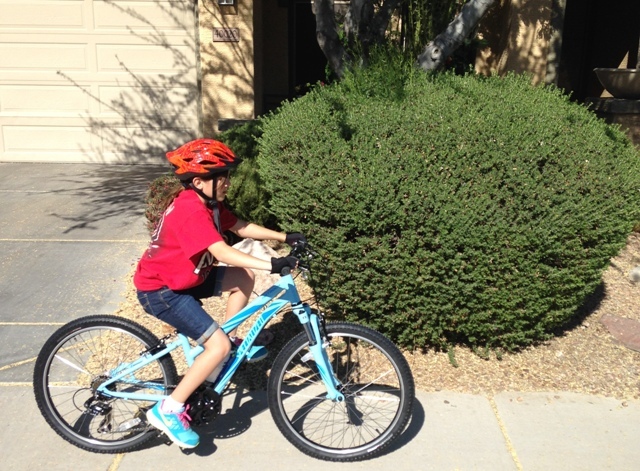 They are still the perfect move up bike for kids and some grownups, too. And to move up to a Racer X? Simply an awesome, classic (and classy) bike! The best defense against bullsh*t is vigilance. If you smell something, say something. 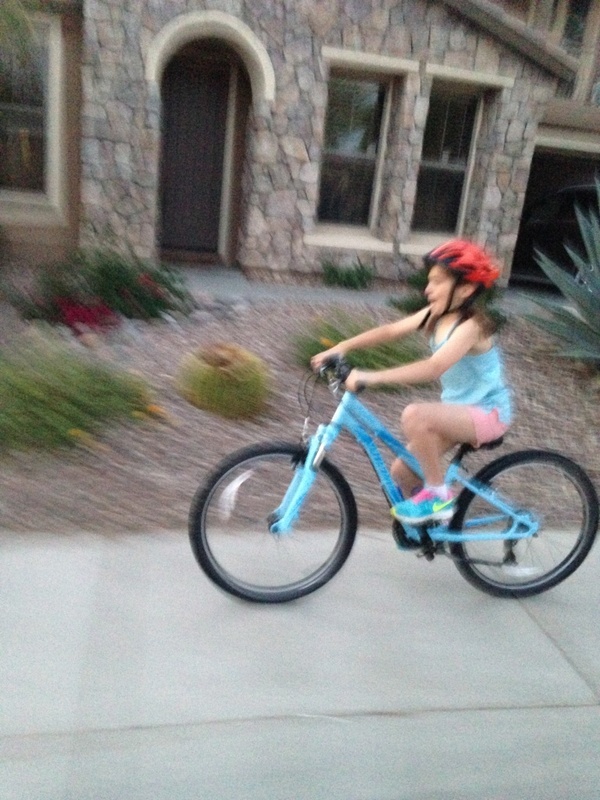 most of our kids race team has skipped 24s and gone directly into XS cheap 26 frames. Its a great option if you can make it fit, lots of available parts to be had affordably. You have to do a lot more work and research which may or may not be your thing, but it was a great family project for us. 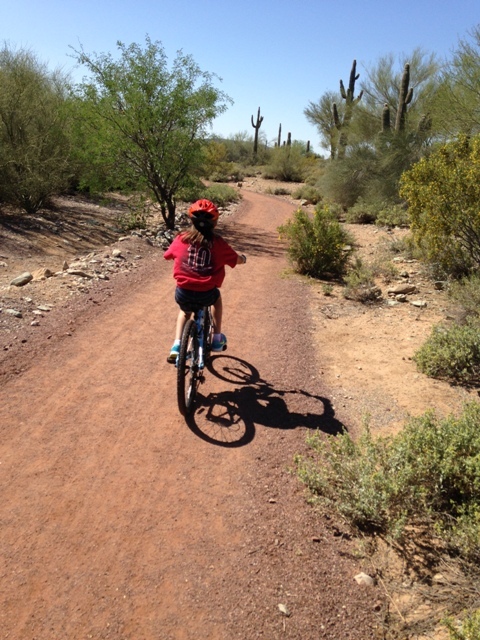 More even than the weight, you really see wheel size making a difference in kids ability to ride trails - 20 vs 24 vs26 are all big improvements. Nice Joe! A decent bike makes such a difference. I love taking my kids out for rides. Stashes in the closet for 4 years..... I love it! ... Also worth looking to shed whatever bits you might have at home - just the handlebar from my 20inch for a $25 carbon bar saved 20oz. ...! Well a keen eye will notice the handle bar is not stock. I replaced the blue steel handle bar with race face 23" long bar I had on my old mtn bike. Perfect size and 400 grams saved. and now you have your very own riot baton! Good job Joe on the new bike. You should be very proud that your daughter wants to hang out with her dad. And I saw in another thread that you are ditching the Whiskey race in favor of hanging with your daughter. You're doing it right! That is sweet Joe! Caleb loves his 20 Hotrock. I too added some EC90 bars, a carbon post, removed the roller guide up front and used a light one. Now to ad the XTR V-brakes, XT 8spd derailuer and cassette with XTR hubs. what did you use for the roller guide, that thing is so heavy! I took it apart once and it looked to my untrained eye like it was designed just for that bb and frame. Its awful and the chain constantly drops off the front ring side-to-side anyway. That's Awesome Joe. 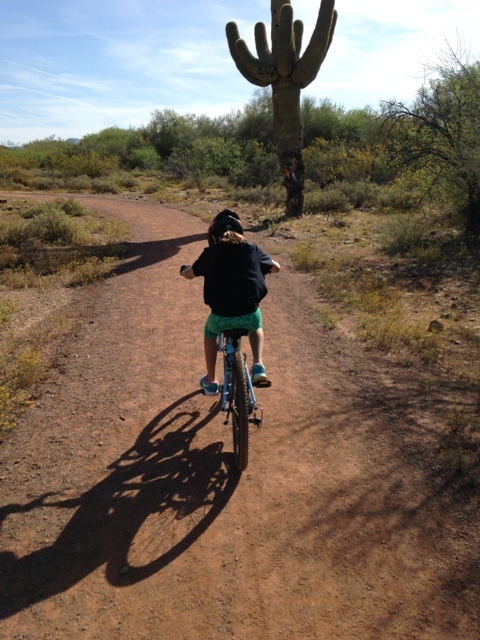 I can't wait until my kiddos are ready to hit the trails. This thread wins. Good stuff, everyone. Curious what other upgrades you are considering? I seem to have stumbled into one of these very similar to yours, for my 7yo who is outriding her 20in hotrock but just too small to take over the older daughter's 26? You can get Rocket Rons in 24 inch, super light weight. None right now. I just want her to ride it. I though about upgrading a lot of parts, but at this point it really does not make a difference. I will see how many miles she puts on it and address it that way. The bars were easy to swap since I had set of light 25.4 mm dia bars laying around so why not. Um Um... that would mean a change to disc brakes as well. Good to know I can upgrade once the time comes. check if your bike even supports it. On the 24in I have, i dont think the front fork even has the mounts. which is probably a good thing for my wallet. Her bike has tabs front and rear. Just needs the wheels and brakes. Buy dedicated commuter bike or convert mountain bike next year?